Hey, it is *extremely* frustrating that Cryptofresh doesn't provide information about collateralization for the various bitassets. You used to have a list of all open short positions for each of the smartcoins, but (apparently in the past month) that list has inexplicably disappeared. Why would you ever remove that crucial information? TL;DR please give us back the information about collateral ratios for bitassets. 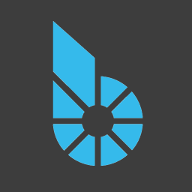 It's now shown within the bitshares web/light clients. Ahhh, very good. Had to dig around a little, but there it is. I might never have found it if you hadn't pointed me there! Thanks! I have noticed some issues with the explorer for whatever reason not updating on my assets past a certain date... one of them stuck at one date the other stuck at another. Now, all new holders past this date are not correct on the explorer. Is there anything you can do about this? Thank you! I too see 'Node replay in progress'. Do you know how to acquire the key for btsapi? Or is this something that I should inherently know and just don't? heh. I really liked cryptofresh until it started showing incorrect data, and now it's causing me to not be able to payout the dividends on my assets, less I pay an incorrect amount. I can see whats in your account too "customminer" and that is my complaint! bts.ai does it too and so you cannot use the same name in here as you do in Bitshares.